It’s a rare occurrence for any team to qualify for state in their first year of existence, but that is what happened for the WBHS snowboarding team. However, the team had to overcome a fair share of obstacles before achieving that success. The team’s first hurdle was to gain approval from the district and ensure that there was enough student interest in a snowboarding team. Once the logistics were figured out and eight high school boys had joined the team, they encountered another problem: the lack of snowfall. 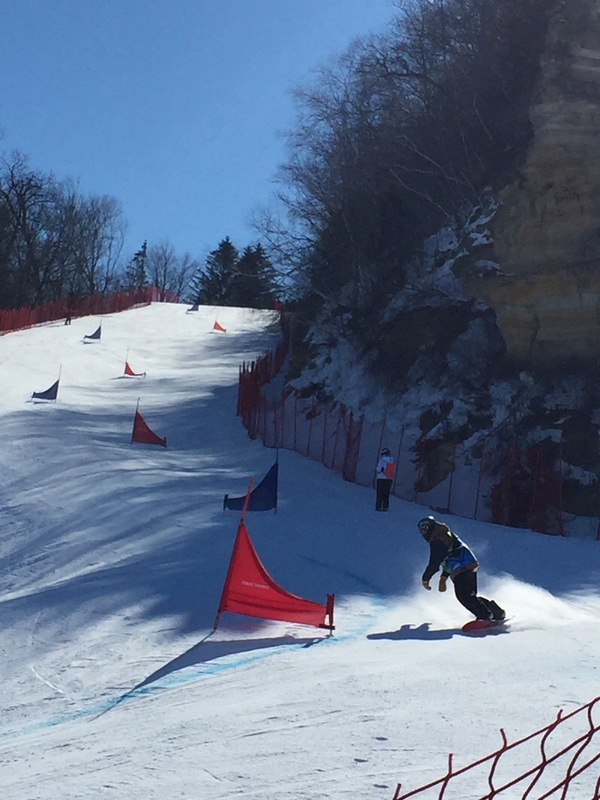 Hayden Johnson, West ninth grader, rides the giant slalom course at state. Photograph courtesy of Krystall Boyung. The team ended up taking first place in that first meet, and they never slowed from there. They took either first or second in all five of the following meets. 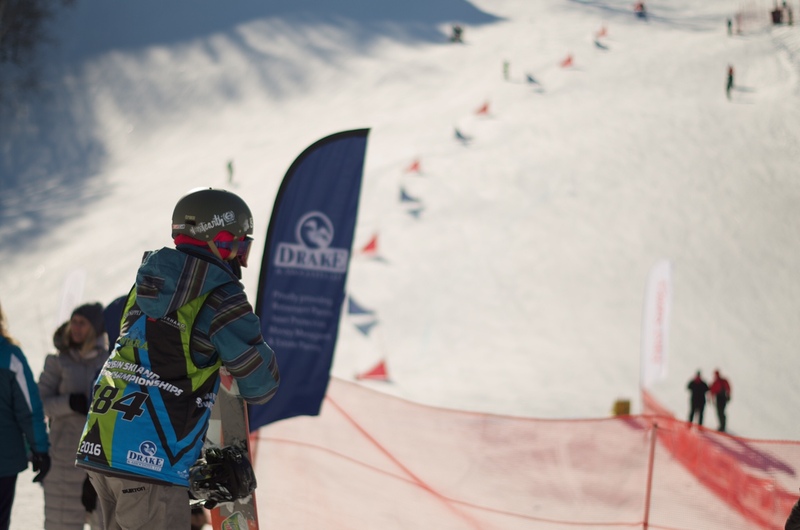 The team was also conference champions in giant slalom, a race which requires boarders to go around the poles in the least amount of time possible. The team placed second in the conference for boardercross, an event which combines speed, jumps, and more difficult terrain. Because of these conference results, the snowboarding team was able to qualify for the state meet Feb. 13-15 in Mount LaCrosse. 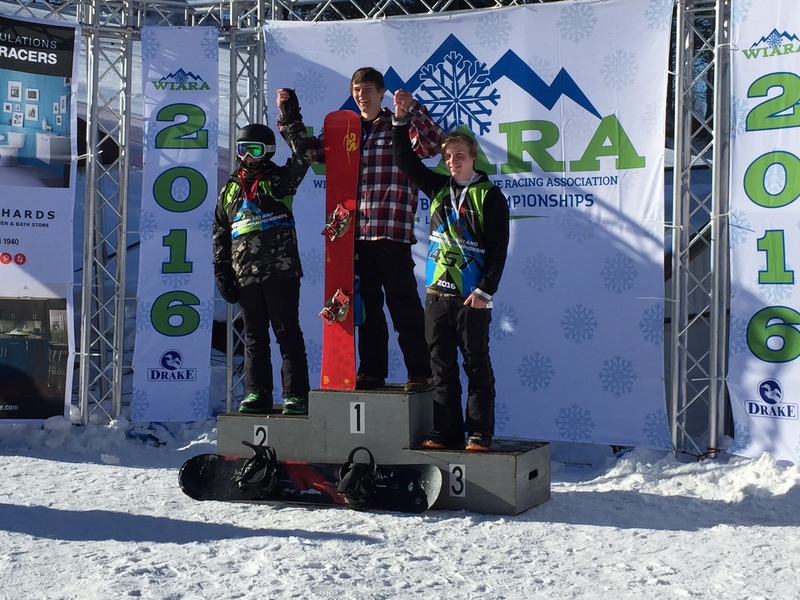 The top finisher at state was Hunter Zaskowski, a sophomore at East, with a second place finish in giant slalom. Zaskowski also would have taken first in the boarder cross event, but he was disqualified due to the fact that he missed a gate. Zaskowski said that the state competition was a highlight of his year. As a team, West Bend took eighth place. Teams earn a place based on the sum of the places of the fastest four of the six competing snowboarders, with the lowest score winning the meet as a team. For the results of the state meet, click here. Hunter Zaskowski, East sophomore, took second place in the giant slalom event at the state meet. Photograph courtesy of Krystall Boyung.